Damien Jurado is one of indie’s best kept secrets. What’s that? You’re already a fan? 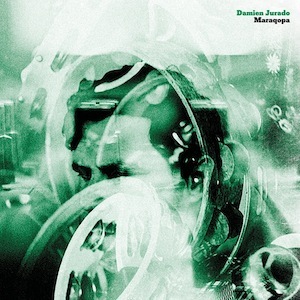 Good – Maraqopa is the perfect album for helping you convert all of your friends to the cult of Jurado. Easily one of the best songs on the album, “Nothing Is The News,” is expansive and warming. Fans of Bowerbirds or Bon Iver will hear influence on the track as well as fans of older, electric guitar bands. Somehow the song is both entrancing and fast-paced. You’ll love how open the track sounds while at the same time sitting in awe of the guitar work. “Museum Of Flight” is another stunner. Powerful falsetto lines blur together with simpler lyrics and beautifully strummed guitar lines. The track sounds like Red House Painters but brings much more. Lyrics like “Don’t let go/I need you to hang around,” make this track the perfect lazy love song. “Reel To Reel” is a killer track with more atmospheric influences. The song sounds a bit like Modest Mouse in a more individual way. You won’t be able to pull yourself away from the album as it “Reel To Reel” drags you in. Overall, you need to get this album. Don’t let an album review sway you. Just go buy this album right now and you’ll understand why this is an early contender for album of the year. You’ll thank yourself for it.